Young people, pensioners and migrant workers will lose out on over 500 days of seasonal work in the Lammermuir Hills this year due to cancelled grouse shooting, a new survey has found. Grouse shooting brings UK and international visitors to the region each year, providing a welcome economic injection to the local villages. However, extremes of weather at the crucial breeding time for the native wild red grouse has seen shoots postponing bookings as there are too few birds this year to offer a harvestable surplus. According to a new poll of local estates, the loss of those shoot days will mean a reduction of nearly 550 man-days of employment over a two-month period. A survey of five sporting estates by Lammermuirs Moorland Group showed that, on average, each created 110 days of shoot employment. This seasonal work is over and above the 45 full-time and five part-time jobs sustained by the five grouse estates throughout the calendar year. 63 local youngsters were employed as beaters or for picking up shot game for the larder in 2017 while 23 international workers benefited from a day on the hills, including 13 migrant workers. 23 individuals above pension age and six students were also amongst the staff employed on shoot days, which net millions for the local economy. The figures, coming just before the start of the 2018 grouse season (August 13th), are significant. According to the 2017 Haddington and Lammermuir Ward Profile, the Lammermuir Hills span two of the most access-deprived parts of the whole region. “For young people in this area, shoot days can be a first introduction to the workplace. It is the chance to earn a bit of extra money over the season, develop team skills and confidence and meet a wide array of people from all backgrounds,” said Helen Savage, coordinator of the Lammermuirs Moorland Group, which conducted the poll. Although each estate adopts its own payment structure, an average shoot day can see someone pocket between £50 – £100 for a few hours’ work, with tax paid by the estate and lunch and transport often provided. Despite local estates having to pick up the costs of lost shooting income this year, the grouse sector still plays a major role in propping up the rural economy in the area. 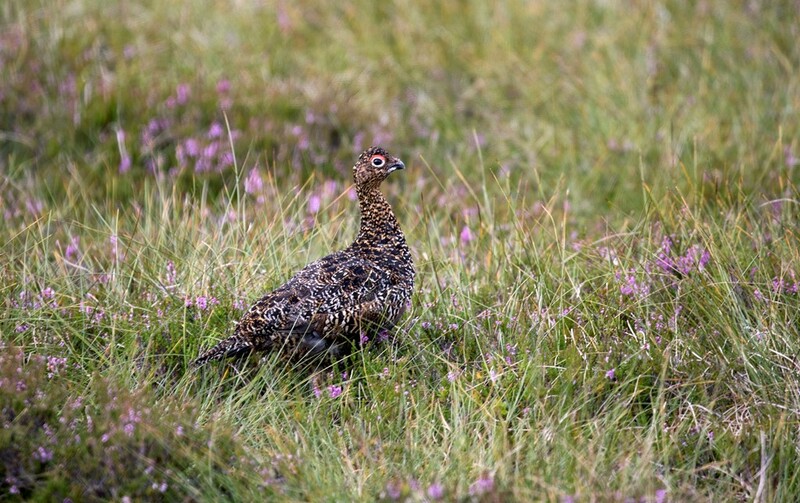 A survey of 45 grouse estates in 2017, undertaken by Scotland’s regional moorland groups, showed that the area around the Lammermuirs benefitted from trade with estates worth £466,274. Scotland-wide, the overall trade generated by grouse shoots was £23m, before a grouse was shot. “It will be disappointing not to see the same number of visitors this year but people have to think about future stocks and sustainability,” added Helen Savage. “It benefits everyone to have grouse so that is in the forefront of peoples’ minds.